Super swift delivery, got it next day after ordered! Received bur not yet try. Got it at $9.90 during sales for 1st time trying. I ve very dry skin and I find this is alright. Gel type and not oily. Will continue to use and hope will improve my dryness skin. Item received well and fast delivery. Hi seller, will you have discount $5.90 for 30ml soon? Sorry inform you that, we are not discount for this item. But you can apply Qoo10 Cart coupon for enjoy more discount. Seller, when is the expiry date for 30ml & 100ml?? Thanks & Regards. Thank for you inquiry~hope you enjoy shopping with iQueen. Sorry to inform you that, we are not selling 50ml, we selling 30ml and 100ml only. I would like to get what is meant by Buy 2 Get $12 after apply shop & cart coupon? Do I get $12 back if I buy 2 qty? thanks. Hi, Seller, can use day & night?? Is there any Time Sale coming up. By the time you answer me, I have already miss the Time Sale. We're sorry to heard that you miss the purchase on time sale, but thanks for you support. Please stay tune with our website. Hi seller, will you be bringing in the 100ml bottle? Thanks. 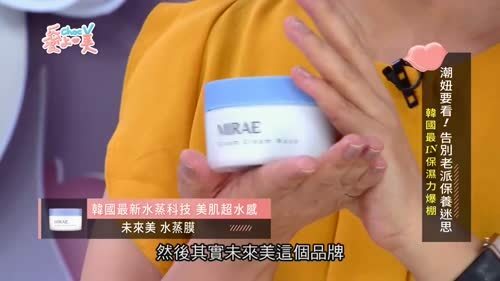 Mirae Steam Cream Mask 100ml will available in this month! Stay tune with us ^_^ Thank you for your inquiry .